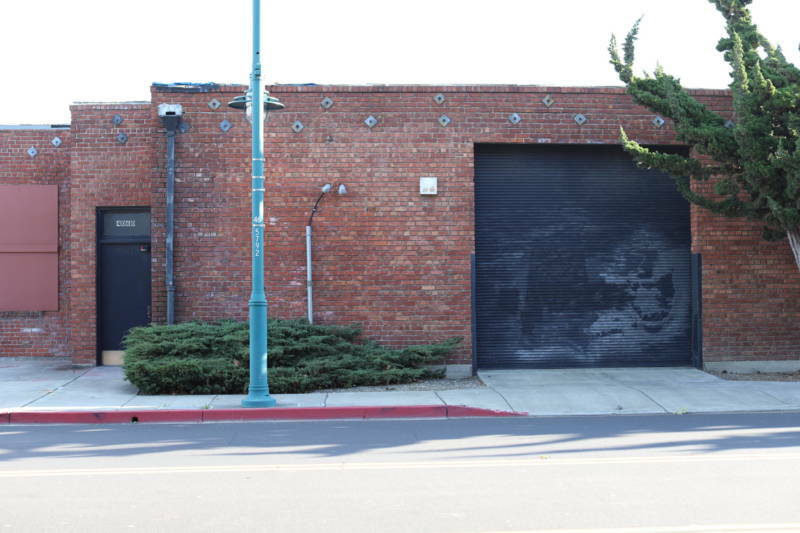 A long-derelict brick building on the edge of Emeryville's shopping district could open as a regional destination for arts and culture as early as fall 2020. Emeryville City Council in November authorized an exclusive negotiating agreement with Orton Development to build and operate the small city’s long-awaited art center, rejecting a competing proposal from Community Arts Stabilization Trust (CAST) that would have created 22 affordable housing units. In Orton’s plan, the 30,000-square-foot United Stamping Company building at 4060 Hollis Street, which the city bought in 2006 in order to develop a cultural center, features a “variable form” theater and gallery accommodating 200, plus other office and event space and a cafe. The design calls for separate galleries that combine to work as a single venue. "Uses throughout the building are viewed through the kaleidoscope of time, with each area having the flexibility to accommodate multiple uses ranging from classes in the morning to performing arts in the evening," said project manager David Dial. 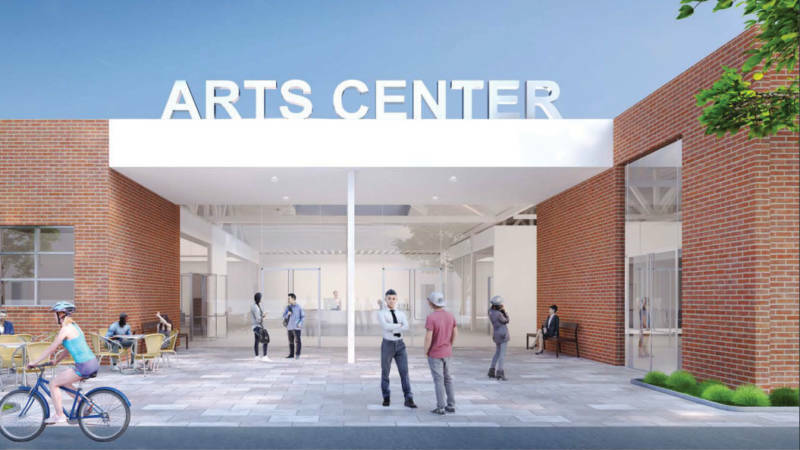 Emeryville earmarked $11 million for the project, including $1.4 million in Pixar and PG&E contributions, and Orton projects a fall 2020 opening—just in time to host the city’s annual Celebration of the Arts group exhibition. An earlier development plan collapsed in 2012. Emeryville is 1.25 square miles of land perhaps best known for its mall and big box stores. But officials hope the art center, along with the California Art Council’s recognition of the Emeryville Cultural Arts District in 2017, inspires greater appreciation of the city’s cultural life. Moving forward with Emeryville-headquartered developer Orton, however, was not a unanimous decision. 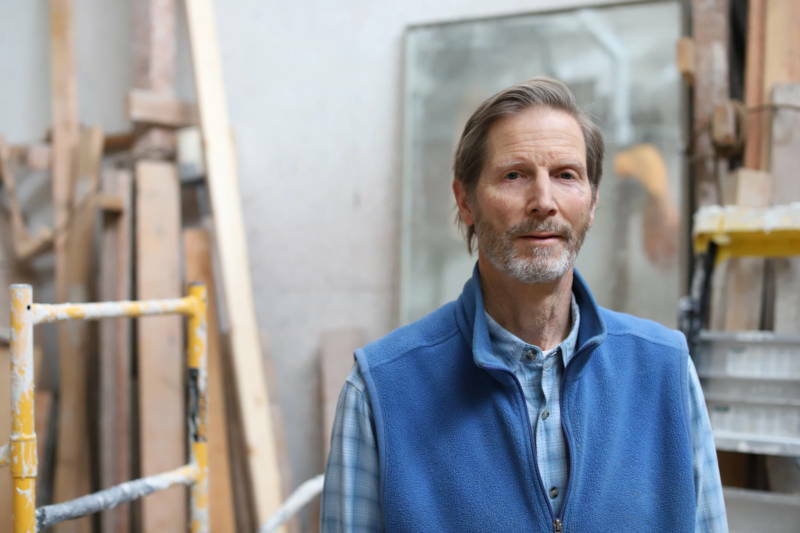 Councilmember Scott Donahue, himself a sculptor and longtime resident of the 45th Street Artists Cooperative, called the competing proposal from CAST, with its four-story housing wing, a “true destination” before casting the sole vote against Orton in September. Orton is known for redeveloping historic structures such as the Craneway Pavilion in Richmond and Pier 70 in San Francisco. CAST, a San Francisco nonprofit, specializes in developing and stewarding property for long-term arts uses—for example, offering below-market rent with options to buy to San Francisco organizations including Counterpulse and Luggage Store Gallery. Both groups envisioned ample exhibition space for Celebration of the Arts, promising to deliver by late next year. CAST proposed completing the housing later, in a second phase, in partnership with architecture firm Banta Design and builders Oliver & Company. Both also proposed similar city subsidies for the art center, with CAST fundraising the additional costs of housing itself. With the art center more than a decade coming, and the increasing difficulty of finding temporary space for Celebration of the Arts, city staff listed expediency as a chief priority. Yet delays on a similar Orton project in Oakland went unmentioned in staff reports and council meetings. Oakland City Council selected Orton to restore the massive Henry J. Kaiser Convention Center in 2015, after the developer proposed an office space conversion and revival of the 1,900-seat Calvin Simmons Theater for the performing arts. Orton at first projected a grand opening of the rechristened Oakland Auditorium early 2019, but appears to be years behind schedule—construction has yet to begin. "The Oakland Auditorium project and the EAC are vastly different projects terms of both size and regulatory complexities," Dial said, adding that Orton now expects to start construction by the end of summer this year. Donahue’s preference for the CAST proposal aside, he applauded Orton’s community engagement so far, noting Dial’s earlier business experience with cultural organizations including Yerba Buena Center for the Arts and Cal Performances. And artists who endured the cultural center’s earlier false start are thrilled to see the project reinvigorated. The Emeryville Redevelopment Agency bought the brick Hollis St. building adjacent to Old Town Hall in 2006, and four years later partnered with a nonprofit formed to run the art center. Jensen Architects won a public design competition and received building approvals in 2011. Funding evaporated the next year, though, with the dissolution of all redevelopment agencies statewide. Wilchar, a textile artist, moved to Emeryville in the early 1980s. 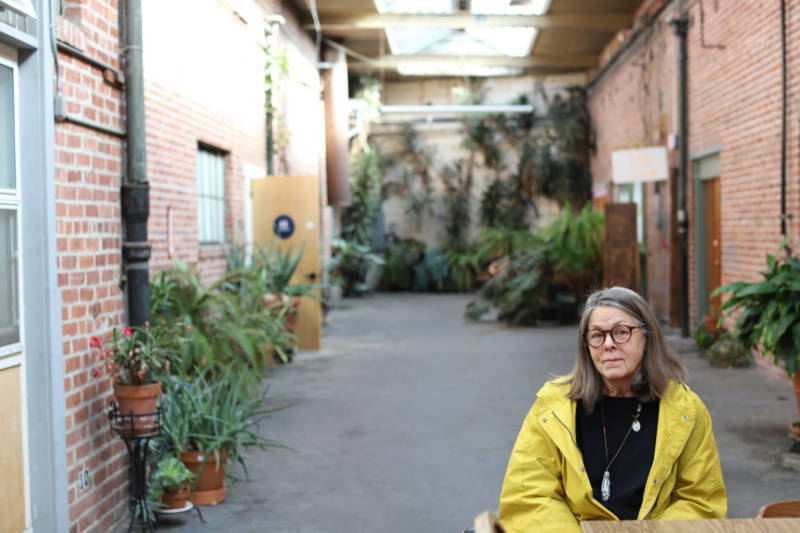 She lives in one of 56 units at the 45th Street Artists Cooperative; over the years, two co-op residents have served on the city council, plus another on the planning commission. Wilchar noted that Emeryville has public art on practically every other block. Wilchar said Emeryville’s image as the pro-growth home of Ikea and various corporate headquarters is misleading. She largely curates Celebration of the Arts through studio visits, seeing countless discrete workspaces. And the California Arts Council has selected Emeryville, plus two areas in San Francisco, as one of the state’s 14 inaugural Cultural Districts. The arts council, which passed on an application from Oakland, provides the cultural districts benefits including a small stipend. Donahue floated using the money to foreground the city’s “maker” side, mentioning didactic plaques. He called Emeryville’s reputation a “somewhat undefined crossroads,” but believes that’s changing. “The art center, the cultural district—these things build a more complete perception of our city," he said.